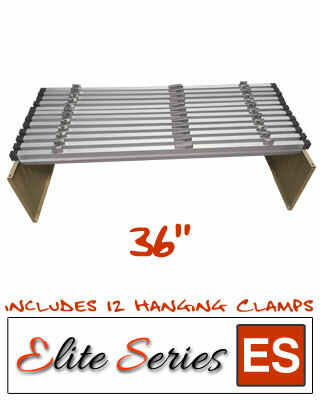 Elite Series ES-DLBWR-36B - Drop Lift Blueprint Wall Rack Bundle includes Dozen 36" Clamps. Everything you need to get organized. We've especially bundled this product with 12 clamps. 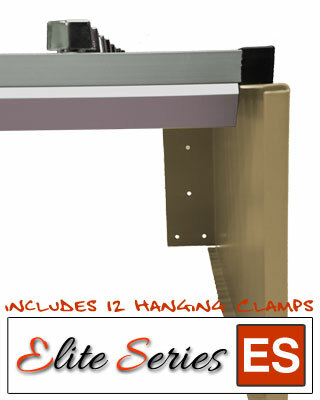 This Elite Series Product is made with quality in mind. The steel is thicker than most other brands, the paint is powder coated for durability (most other brands are baked enamel paint), and the construction is built to last. This Drop Lift Blueprint Rack is perfect for your blueprint files that require accessibility and ease of use. Finished in a durable sand beige powder coat finish. Easy assembly.